Regulators and insurance experts worry the Trump administration's new rule expanding association health plans for small businesses and self-employed people will lead to a spike in insurance fraud and insolvencies that plagued consumers and healthcare providers in the past. The Labor Department's 198-page final rule, issued Tuesday in response to President Donald Trump's executive order in October, will make it easier for small firms and individuals to band together across state lines in association health plans governed by the Employee Retirement Income Security Act. The administration, backed by groups like the National Federation of Independent Business, argued that allowing the formation of plans free from many of the Affordable Care Act's consumer protection and benefit rules will make coverage cheaper and more available to small businesses. But the attorneys general of New York and Massachusetts announced Wednesday they plan to file a lawsuit to block implementation of the rule because they say it will "invite fraud, mismanagement and deception." As they note, there is a long history of shady and inept operators of association health plans and related multiple employer welfare arrangements, with dozens of civil and criminal enforcement actions at the state and federal levels. The U.S. Government Accountability Office identified 144 "unauthorized or bogus" plans from 2000 to 2002, covering at least 15,000 employers and more than 200,000 policyholders, leaving $252 million in unpaid medical claims. Some were run as pyramid schemes, while others charged too little for premiums and became insolvent. Such cases have declined since the ACA made health insurance more affordable and accessible for employers and individuals without access to large-group coverage, said Marc Machiz, a retired Labor Department attorney who formerly headed ERISA and AHP enforcement in the Philadelphia area. Now he and other experts worry there will be a fresh wave of fraud when the new rule takes effect in 2018 for new fully insured AHPs and in 2019 for new self-insured plans. They warn that small employers and self-employed individuals desperate to find cheaper premiums as ACA marketplace rates rise will be particularly vulnerable to plan operators promising rates that are too good to be true. In addition, the new rule will allow groups to form that lack the close professional bonds of true industry associations. "The relaxed federal standards for forming AHPs risk opening the doors wider to a surge of scam operators who will seek to exploit the looser environment," said Jim Quiggle, spokesman for the Coalition Against Insurance Fraud, which includes the Blue Cross and Blue Shield Association, the National Association of Insurance Commissioners and Families USA. He noted approvingly that the rule preserves the authority of state insurance regulators to oversee AHPs, even those headquartered in other states. "The rule clarifies that states have extensive skin in the game," he said. "The big question is how robust the state and federal enforcement resources will be." The ACA continued to allow AHPs offered by bonafide associations organized primarily for purposes other than the provision of health benefits, but there was less demand for AHP plans than before. Under existing Labor Department rules, employers joining AHPs had to be in the same occupational line and share common interests unrelated to health benefits. Self-employed individuals without employees could not participate. Fraud declined over the past few years but it didn't disappear. 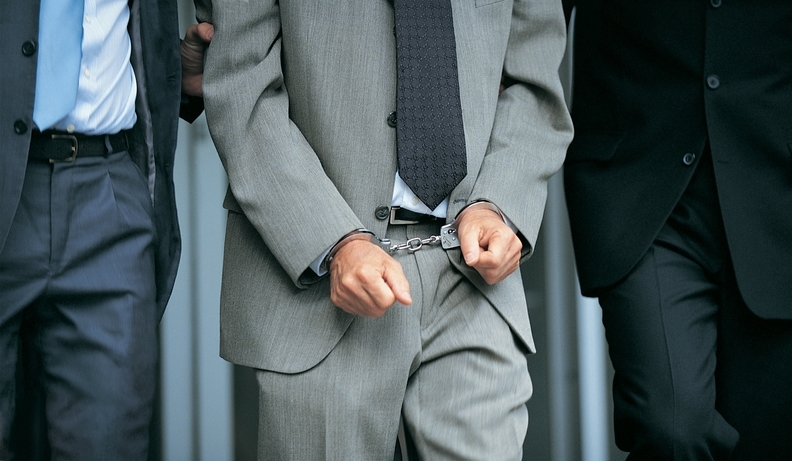 In March, a Tennessee man pled guilty in March to federal charges that he operated a fraudulent health plan scheme targeting small business owners and self-employed people. In November, the Labor Department obtained a federal temporary restraining order against companies that allegedly failed to pay medical bills for thousands of people across the country whose small-business employers had banded together in a multiple employer welfare arrangement. In early 2017, the Labor Department filed a civil complaint accusing two Spokane, Wash., business association leaders of transferring $3 million from a health plan serving 300 small employers in Washington state. Experts cite a number of worrisome provisions in the new Labor Department rule that they say could facilitate fraud. It will become significantly easier for employers to join AHPs without sharing a commonality of interest or being located in the same geographic area. Unlike before, AHPs will be able to form for the principal purpose of sponsoring a health plan governed by ERISA, which shields plans from state regulation. Those provisions reduce the protective effect of having plan sponsors that are well-established, traditional professional associations, such as plumbers, that have close ties to their members and have come together to offer a broad range of services, Machiz said. Another break from the past is that self-employed individuals without employees, dubbed "working owners," will be able to participate in AHPs. The plans can allow these individuals to self-attest that they qualify, and they'll only have to show that they work an average of 20 hours a week. This could leave self-employed people at the mercy of shady operators, because legitimate AHPs will be less interested in enrolling them due to adverse-selection risk, Machiz said. These various new provisions likely will supercharge the formation of AHPs and boost their enrollment, even as the ties between AHPs and their members may become more tenuous. Over the next five years, as many as 4.3 million people may leave individual and small-group plans and join AHPs, Avalere Health projected in February. "Any time you expand the market, you are expanding the fraud potential," Quiggle said. "That's inevitable." Healthcare provider groups are leery. "Insolvent and sham AHPs would negatively impact patients, physicians and other providers by leaving them to cover the cost of services that should have been paid by the AHP," Dr. James Madara, CEO of the American Medical Association, wrote in a comment to the Labor Department in March. Some business groups that long have pushed for expanding AHPs celebrated the new rule Tuesday, expressing no concerns about fraud risk despite the extensive history of small employers being victimized. "This is an important step toward expanding affordable healthcare options for small businesses and lowering costs for their employees," said David French, senior vice president for government relations at the National Retail Foundation. But Machiz, the veteran regulator, issued a stark warning. "With this rule will come destruction and heartbreak and misery," he said. "The bad guys will be back in business."